Manchester United are expected to do business during the winter transfer window this month with several reports suggesting we will both sign and sell players. 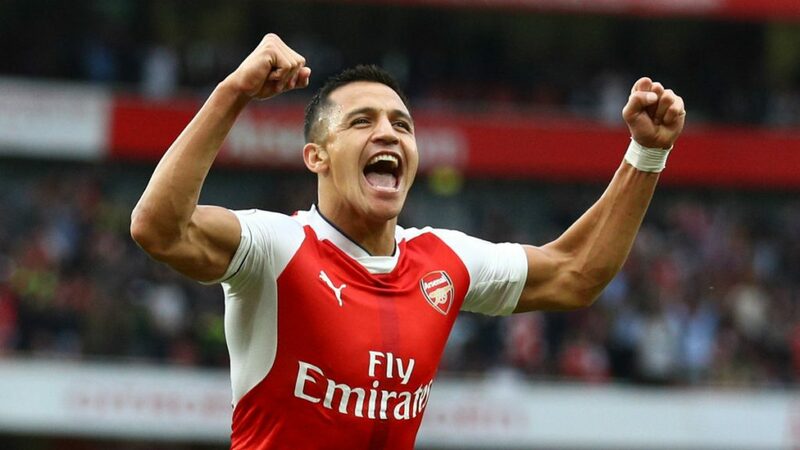 One player who has been heavily linked with a move to Old Trafford is Arsenal contract rebel Alexis Sanchez. The Chilean is now in the final six months of his deal at the Emirates with no sign of putting pen to paper over a new deal, and is a reported transfer target of ours and rivals Manchester City. Pep Guardiola’s side had made an offer of £60 million for the former Barcelona forward on deadline day of the summer transfer window only to see the offer rejected because Arsenal couldn’t find a replacement in time. The Guardian are now reporting that Manchester City are confident that they can prise the 29-year-old away from North London with a £30 million bid this month. Sanchez is due to become a free agent in the summer should Arsenal not sell this month. Manchester City will seemingly be keen to sign a forward this month as Gabriel Jesus is expected to be out for two months with a medial collateral injury suffered in the 0-0 draw at Crystal Palace on New Year’s Eve. This rules the Brazilian out of some Champions League and FA Cup action with City only having injury-prone Sergio Aguero currently available to them up front. Alexis Sanchez would be a great backup to Aguero but it’s hard to see him holding down a regular first team spot in the current Manchester City team that also has the likes of Raheem Sterling, Leroy Sane and Bernardo Silva competing for positions down the wings where the Arsenal star currently plays. Meanwhile, Manchester United could do with a new right winger and Alexis Sanchez would be virtually guaranteed to start the remainder of the season at Old Trafford should he hook up with Jose Mourinho instead. The boss hasn’t been a big fan of Juan Mata who he predominately plays down our right wing, but we’ve also seen Henrikh Mkhitaryan, Jesse Lingard and Marcus Rashford all fail to deliver the goods in the couple of opportunities they’ve been given in this position this season. What’s more, I’m not convinced Alexis Sanchez fits Guardiola’s tactics at the Etihad. The Chilean loves to run at defenders and concedes a lot of possession, whilst the manager is keen on maintaining the ball at all times. This is why Jose Mourinho should seriously consider making a move for Alexis Sanchez this month before our rivals make an offer. £30 million would be nothing to us in today’s market. These re the kind of players Man United should be looking at but their focus is elsewhere, United should sign Sanchez or Malcom to boost the right wing position wake up United other teams re making signings but for our team it’s just rumours we re tired of that. AM TIRED OF RUMOURS UNITED SHOULD PUT PEN IN PAPER AND SIGN WORLD CLASS PLAYERS AND STOP ALL THIS TRANSFER RUMOUR.